The following post is by Hillel Levin (Georgia) and is sponsored by West Academic. For several years—decades now!—there have been clarion calls for changes to law school pedagogy. Buzzwords like experiential education, practical learning, skill building, problem solving, and others have been thrown around with increasing frequency. These calls have only grown louder as the market for legal services has experienced both cyclical and structural changes. Many law school professors want to answer these calls and to include skill-building in the doctrinal classroom. Sessions devoted to this topic at annual law conferences (like SEALS) are typically among the best-attended; the topic comes up repeatedly in chatter on blogs and listservs; and faculty members are constantly sharing notes and ideas. Yes, it is clear: the demand for appropriate teaching materials is high. Unfortunately, until the past couple of years, professors have not been able to find much, as authors and legal publishers have been unsure of how to meet the demand for this new pedagogy. In the absence of published solutions, some professors developed their own materials, much to the benefit of their students. However, many professors have expressed frustration with the difficulties inherent in developing such materials for the doctrinal classroom. Which skills should I focus on? What makes for a “good” simulation? 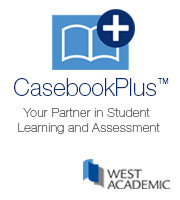 How should I review and discuss case documents with students? How can I naturally integrate these novel materials? How do these materials fit alongside the traditional casebook that the course is built around? Do I really have to invent all of this from scratch? How do I give useful feedback? How do students work collaboratively in class while receiving individual grades? Should I ask students to do research? Write memos? How much time will it take? What will I have to sacrifice in terms of substantive course coverage? How do I explain to students the purpose and use of this “extra” material so that they buy in? Will students rebel? Since I began teaching in the doctrinal classroom six years ago, I have been committed to developing practical lawyering materials for each of my courses (Legislation and Statutory Interpretation, Civil Procedure, Constitutional Law II, Administrative Law, and Education Law and Policy). I took an everything-including-the-kitchen-sink approach, introducing new materials every year, tweaking old assignments, and tossing whatever hadn’t worked the first time around and couldn’t be salvaged. In introducing these materials, I always (1) explain to students the purpose of each assignment, (2) am transparent about the experimental nature of the material, and (3) request anonymous feedback for everything. I have found students to be remarkably open to the experimentation, appreciative of my effort to help prepare them to be better lawyers, and insightful in their feedback. Even when an experiment fails and/or places unfamiliar and time-consuming demands on students, they unfailingly express gratitude at the attempt. I suspect that some are simply bored with traditional law school teaching by their second or third year; others never liked it in the first place; others simply appreciate a variety of teaching techniques; and others very much want more skills training. In any event, the response from students has been overwhelmingly positive. Most rewarding of all have been the emails I receive from students in summer or post-graduation jobs (sometimes years later) recounting how they impressed a supervisor or were particularly prepared for an assignment thanks to something we did in class. I discovered early on that some of my courses are more naturally given to this kind of experimentation than others. My Legislation and Statutory Interpretation class, which focuses on statutory interpretation but also covers legislative and regulatory processes, proved to be a natural fit. As I introduced more and more practical lawyering materials, students began to ask me to replace the casebook altogether with my own materials. After five years of teaching the course, I finally felt ready to tackle the challenge. West Academic Publishing, which has been making a concerted effort to publish practical lawyering materials (primarily, but not exclusively, with course supplements), quickly accepted my proposal. The result is Statutory Interpretation: A Practical Lawyering Course, a new paperback (and thus comparatively affordable) coursebook that serves as a standalone text for any course anchored to statutory interpretation, though it also includes materials suitable for related courses, like Legislation or Leg/Reg. It covers the leading cases and doctrines, but it also offers a variety of experiential and skills-building exercises. The teachers’ manual includes a sample syllabus, case summaries, points for discussion, and perhaps most importantly, detailed suggestions for how to successfully use the exercises. It offers guidance for exercises geared to improving students’ skills in negotiating and drafting legislation, strategizing, organizing arguments, responding to counter-arguments, conducting legal research, writing briefs, and more. My plan is to refresh the book every two years in order to keep the cases and assignments current. The central innovation of this book (I hope) is that it brings practical lawyering skills into the framework of the doctrinal classroom without casting off the benefits of traditional law school pedagogy. It explains why students are asked to do some things that may be unfamiliar to them, and it makes explicit the connections between the traditional doctrinal and case-based materials, the novel materials and exercises, and the role of the attorney in the real world. In addition, it gives professors substantial freedom to work with these materials as they see fit. Publishers have finally begun to respond to the demand for these kinds of materials by offering a variety of products. We are in an exciting period of innovation in law school teaching, and I am thrilled to be a part of it.